Three different times this summer I have seen tweets or articles of kids with ASD who have gone missing and then found dead from drowning. Heartbreaking and chilling. I know the actual number of drownings is much higher. Of course I have been teaching water safety to kids with special needs for years and have been preaching the importance of water safety, but to see the parents and communities pleading to find their child and then the devastating discovery in finding them dead is enough for me to get on a bigger soap box. This needs to change. So here we go! Parents, caregivers, friends, I beg of you to take the time to teach your loved one how to safely get in and out of the pool. Here are some basic skills you can do with your kids EVERY time you are near water. It is important to repeat these over and over (and over) again so our kids know what to do to be water safe. 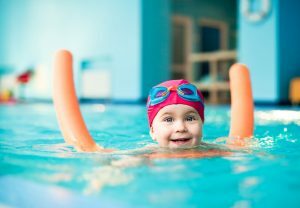 Here are six basic water safety techniques anyone can do that can save a child’s life. I encourage you to be consistent, deliberate and repetitive with each of these skill until they are understood and mastered. 1. Entry into the pool. Sit on the side of the pool. Roll onto your stomach and slide in tightly holding the side of the pool. (Put your hands over theirs to emphasize the importance of holding on). Count to 5 before they can let go. Often children can’t gauge the depth of the pool so regardless of whether they can touch or not, always have them roll over and get in. If they assume them can touch, but can’t and go under, they will have a more difficult time getting back to the wall. 2. Monkey arms. 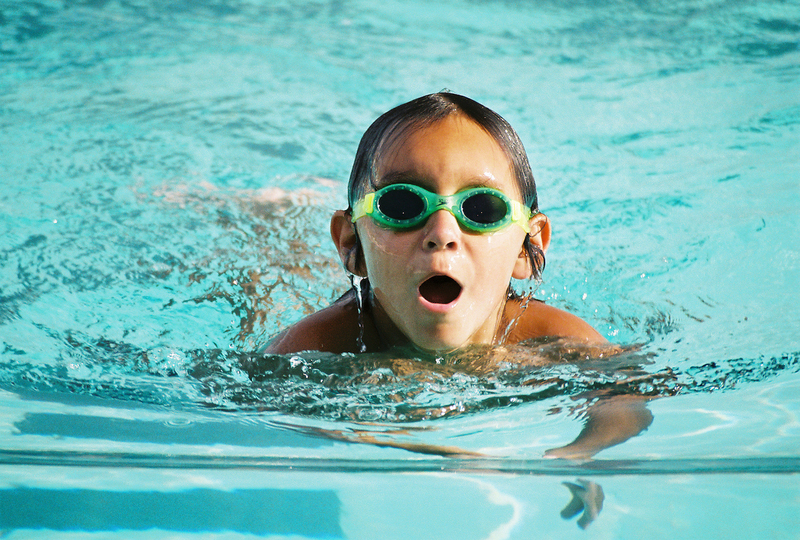 It is important children understand if they want to safely move in water over their head, to use the side of the pool. Practice holding on with two hands and shuffling from one side of the pool to the other. This empowers them allowing them to move to where they want to go safely. 3. Climbing out. I often see kids with ASD have lower muscle tone and a hard time climbing out. It is important they practice the correct way to get out of a pool: Facing the wall, use your arms to lift you up, then bring your knee to the edge and climb up a bit more, then bring your foot up and climb out. 4. Jumping/Bouncing in the pool. Kids love bouncing in the pool. Have them practice jumping in water 6-12 incher deeper than them. They have to exhale and go down, find the bottom of the pool and jump up and take a big breath of air, then back down again. Kids are learning how to keep breathing, not panic and stay water safe in water that is 6-12 inches over their head. 5. Humpty dumpty/Jumping from side – Sit (or stand) on the side and “fall” in. Do not grab them, but have them turn their bodies and underwater and grab the wall. Repeat over and over and over. If your child should fall in, they know to turn around and grab the wall and hold on! 6. Reaching for you – When you are in the water with your child and they push off you or come off the wall without anything to hold onto. DO NOT GRAB THEM. Hold out your arm or a noodle, hold their arm and direct THEM to grab YOU. They need to understand that: a. they need help and b. they can save themselves. If you always grab them when they go under, they will never learn these two basic water safety skills. Pass this along to anyone you know who has a child with ASD. The word needs to get out! I encourage you to take action and save lives!